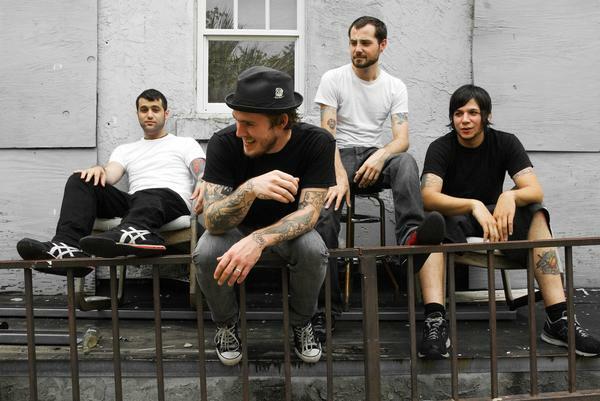 I knew after reading a few descriptions of New Jersey's The Gaslight Anthem that I would be a fan. The best comparison I can make is the perfect mix of Bruce Springsteen and Social Distortion. It's the kind of punk rock that was around before punk rock somehow became Emo. One listen to their most recent album, The '59 Sound, and you'll know what I'm talking about. 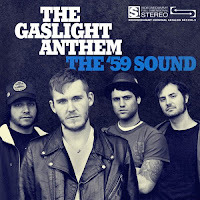 I had to do a little research to find that this is the second full length album from The Gaslight Anthem and believe me, I'll be checking out the first very soon. The best song off the album, the title track 'The '59 Sound' is a poignant tribute to dying young. The lyrics are definitely worth checking out with a chorus at the end that still gives me chills to think about: "Young boys, young girls, ain't supposed to die on a Saturday night." Damn straight. If you can handle the it, you can see The Gaslight Anthem (along with Eagles Of Death Metal and a few other bands) at the Buzz X-mas show at The Midland Theatre on December 10th.